Hello people want to keep you updated on what my new Idde is. 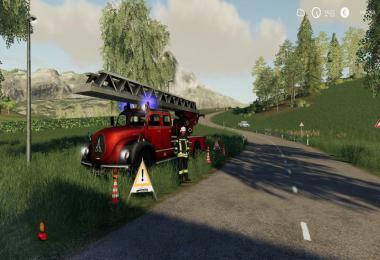 I tried to build a real fire brigade I saw live. There were 2 sound triggers installed to make it look more real and a few deco things. The fire brigade is even lit at night. The mod is only decoration and serves only as an eye-catcher!